85mm Professional Portrait Lensed incorporate one hybrid aspheric element to control chromatic aberrations for increased clarity and even sharpness and illumination. An Ultra Multi-layer Coating has also been applied to lens elements to reduce lens flare and ghosting for increased contrast and color neutrality. 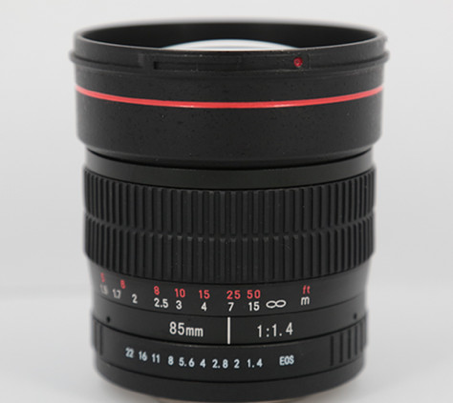 This lens is characterized by an internal focusing design, which maintains the overall length during use, as well as an 8-blade rounded diaphragm for a smooth bokeh quality. This 85mm f/1.4 lens features a Canon EF mount, and is compatible with full-frame sensors or APS-C sensors, where it will provide a 136mm equivalent focal length. A fast f/1.4 maximum aperture helps with working in difficult lighting conditions and also enables extensive control over your focus position for shallow depth of field shooting. One aspherical element helps to control chromatic aberrations and distortions for increased clarity and sharpness. Multi-Coating has been applied to lens elements to reduce lens flare and ghosting for increased contrast and color fidelity. 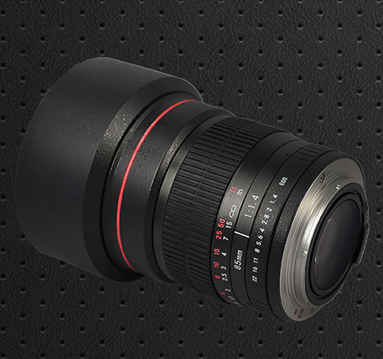 This manual focus lens features an internal focus design to maintain the overall lens length during use and the front filter mount does not rotate when focusing to better enable working with polarizers, graduated ND, and other filter types that require precise positioning.